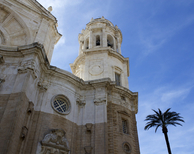 Hi, I am Adrianemaca, Tour Guide in Cadiz. I’m passionate about Food and Culture. My Motto: Close your eyes and try to imagine Mediterranean, Moorish, Jewish and Christian cuisine all combined into one delicious gastronomical tour. Hi! 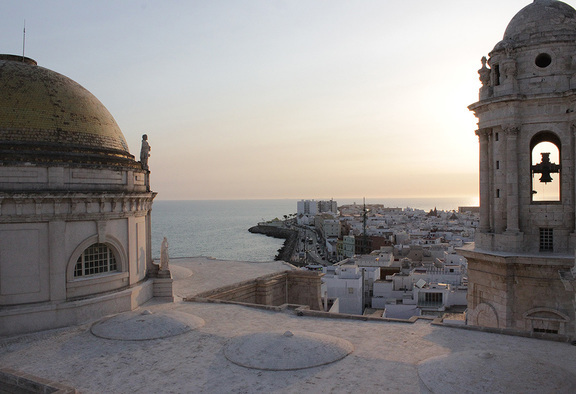 Our names are Maca and Adriane and we are excited to take you on a guided tour through the capital city of our region, Cadiz! Where we will discover and experience the culture and gastronomy that makes our city so special. Please join us on a fun and tasty stroll as we eat and drink our way through the oldest city in Europe. Our gastronomic tour will include four tapa bars, where you will be able to taste the distinctive and exquisite flavors of what makes our diet so special. This will include southern Spain’s traditional seafood, as well as cheeses and cured meats from the northern region of Cadiz and of course, to top it all off our delicious local wines. 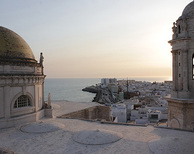 Welcome to Cadiz, the oldest City in Europe. Ever since its discovery by the Phoenicians three thousand years ago, the region has been fought over, lived upon and visited by many different civilizations and cultures making it into a critical location throughout history. The food, the culture, and the traditions are all a blurred mix of its past inhabitants from the Romans to the Greeks, to the Arabs, to the Jews and finally to the Catholics who all have left their distinctive mark on this Andalusian City.